As you may know by now, the Islamic month of Ramadan is being observed by all the Muslims around the world. Either you're fasting during these long, hot summer days and inshAllah, gaining all the reward in the world for it, or you've heard your Muslim friends or coworkers talk about it and know how significant this Islamic observance is for Muslims. For those of you in neither of those categories, Ramadan is a holy month in which Muslims in every corner of the world fast. Fasting means no eating or drinking at all from sunup to sundown. Fasting teaches Muslims patience, obedience, moderation, and empathy towards our less-fortunate brothers and sisters who often do not have even a morsel to eat. I've blogged about Ramadan in the past, when I distributed iftar (the meal we eat to break our fast) to all the people in my neighborhood! What I'm blogging about this year is the holiday that comes at the end of the month! After Ramadan ends, Muslims celebrate their biggest holiday of the year, Eid. Its a joyous time to celebrate the blessings we have been given and to pray for acceptance of our worship and observance of Ramadan. Families will make lavish traditional foods and sweets and spend the day visiting with family and friends. 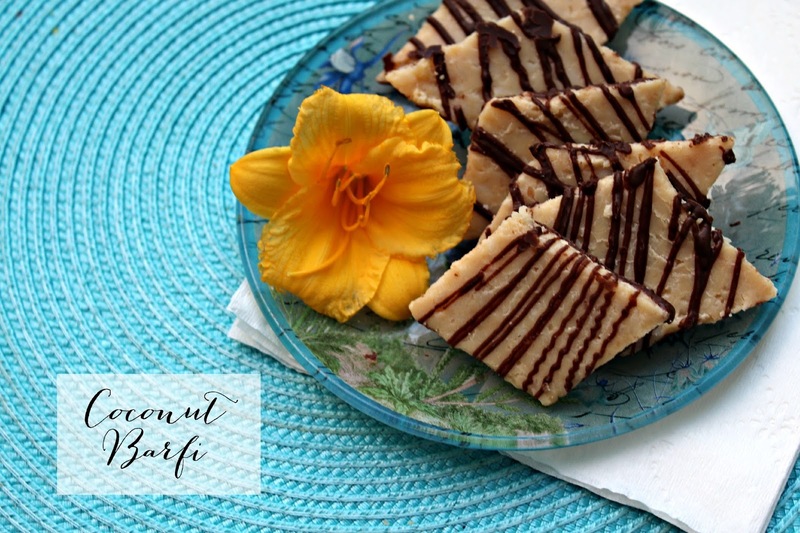 In getting in the Eid spirit, I'm showing you how to make a traditional Indian-Pakistani sweet- coconut barfi (with a twist). 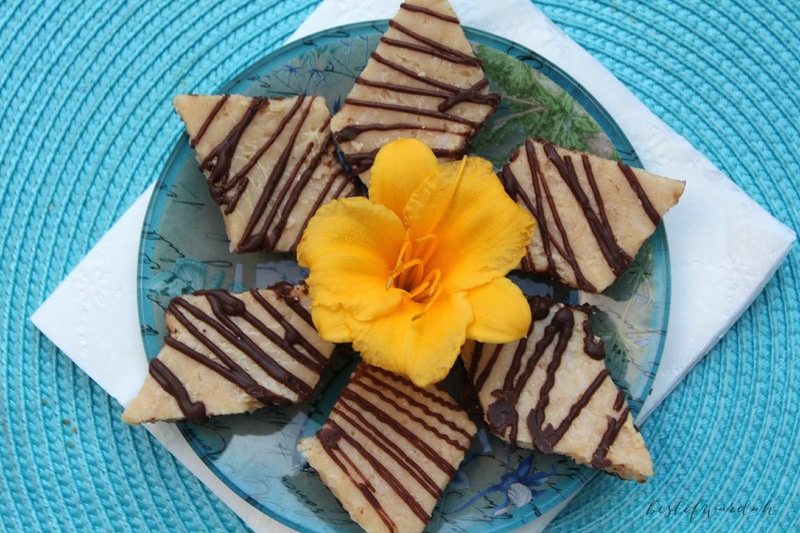 Even if you're not celebrating Eid, coconut barfi is sure to be a hit for any dinner party. Coconut barfi is unique and delicious. These colorful squares are also extremely eye catching and even more decadent with notes of sweet coconut. Best of all, this dessert only requires four basic ingredients- I know I have you hooked now. 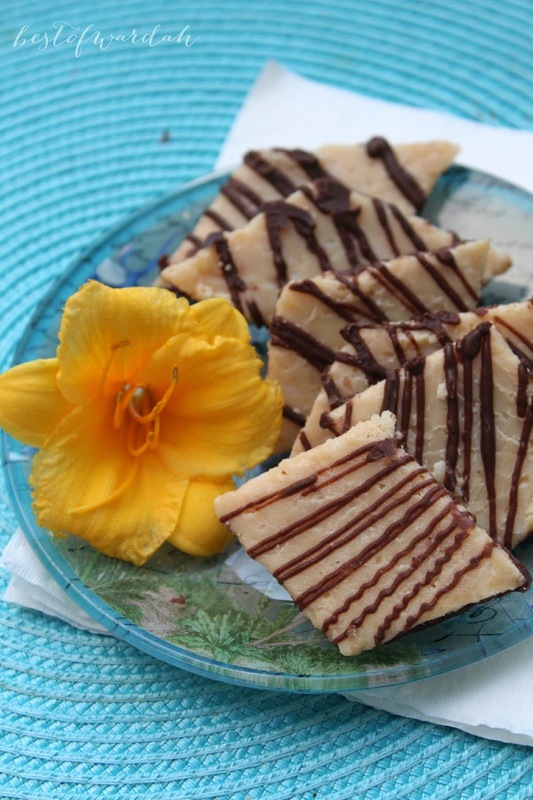 The twist on this coconut barfi is that it is dipped in chocolate, making it taste a little like the Mounds chocolate bar, but on a totally different level. Give it a try this Eid, or anytime of the year, and be sure to tell me how it turns out. Toast the coconut in a heavy saucepan on medium heat for 1-2 minutes or until it is aromatic (You'll know what I'm talking about when you do this step). Keep stirring the coconut because you don't want it to burn or even color too much. Leave it mostly white. This step is optional, if you skip it, you'll get a more white color for your end result. But don't skip it. The smell is worth it. Add in the oil, sugar, condensed milk, and ground cardamom seeds and stir until combined. Then keep stirring it on medium-low heat for 10 minutes, or until it has all come together. Spread it out on a baking sheet to cool and harden. Smooth it out by rolling the side of a flat cup on it, don't use your hands, it's really hot. Let it cool completely. Cut it into diamond shapes using a sharp knife or a pizza cutter (what I used!). Melt the chocolate in the microwave in 30 second bursts stirring in between. 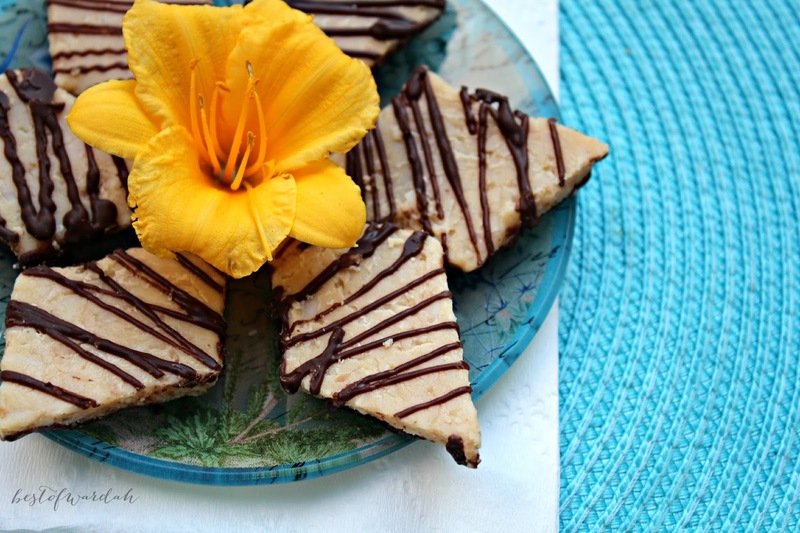 Dip the barfi into the chocolate and set it on parchment paper to dry. I dipped the bottoms and also drizzled chocolate onto the top of the barfi. Store in an airtight container or zip lock bag for up to a week. Salams! Today we distributed Iftar platters in our nighborhood too! It was great :) and these look delicious ! Hope you are having a good Ramadan :)! Wow mouthwatering and very tasty looking recipe. Pakistani Cooking Recipes are always tasty and I love all Pakistani Recipes. I will definitely try this at home.